Sunnybrook's Odette Cancer Program is one of the largest cancer programs in North America. We aim to find cancers early, and treat them with the most advanced and minimally-invasive techniques so that patients experience less side-effects and return home sooner. Whether it's innovative radiation methods, new chemotherapy treatments or state-of-the-art imaging techniques, our specialists are transforming care and saving lives at home and around the world. 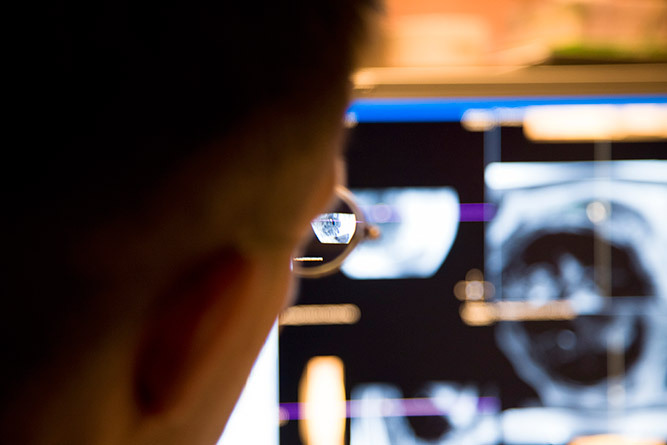 Magnetic resonance imaging (MRI), technology that sees inside tumours, is at the heart of this transformation as are treatments that destroy tumours without surgery and harming healthy tissue. We are the first in Canada to use MRI for real-time guidance of radiation treatments. The powerful and precise radiation doses made possible by this technology will mean we treat cancer more effectively, keep side-effects like fatigue to an absolute minimum and shorten treatment time. Your support enables us to bring these innovative treatments to patients sooner. Donate now. Learn how image-guided radiation therapy is offering new hope for patients without the need for surgery. Learn more about how the Prostate Centre at Sunnybrook will help men reclaim full, healthy lives. 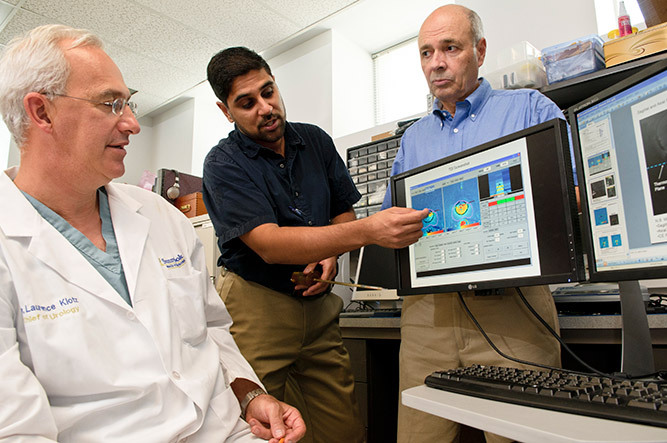 Learn how precision brain radiation therapy is changing outcomes for cancer patients. Learn how new image-guided radiation technology is raising the stakes in fighting the hardest-to-treat cancers. 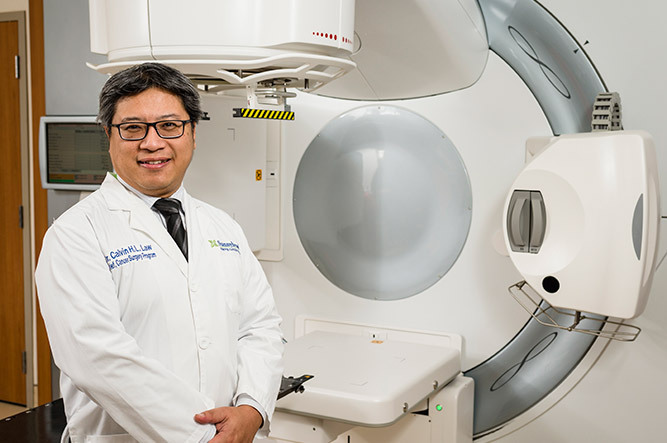 Sunnybrook doctors are the first in the world to guide internal radiation treatment, called brachytherapy, with real-time magnetic resonance imaging (MRI). As a result, they are able to target tumours with unprecedented precision. By making it possible to image tumours with MRI and then instantly place the brachytherapy seeds, Sunnybrook is able to zero in on tumours like never before. Our doctors will also use MRI to quickly observe the treatment's effect on tumours, allowing them to adjust treatment if needed. For patients, MRI-guided brachytherapy will be more effective than brachytherapy guided by ultrasound imaging, while also having less of an impact on their daily lives. 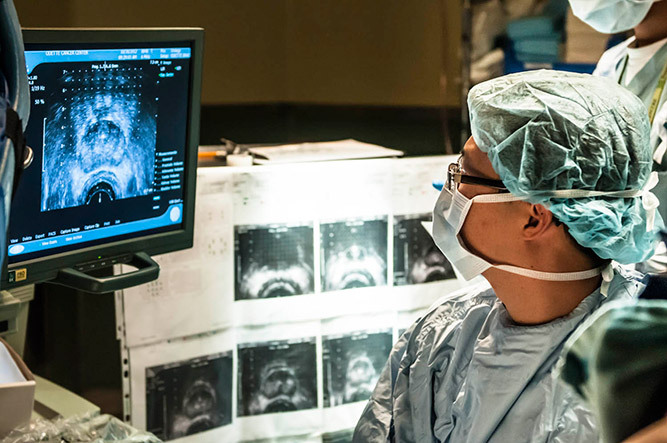 A precise radiation therapy increasingly used at Sunnybrook, called stereotactic radiosurgery (SRS), may make whole-brain radiation – and its side-effects – a thing of the past. To make that happen, Sunnybrook has installed the Gamma Knife Icon, the newest and most advanced SRS system, in the Odette Cancer Centre. With the Icon, our cancer experts can offer precision radiation to a broader group of patients – for instance, to people with as many as 30 brain tumours. And thanks to the Icon's design, patients can look forward to a considerably more comfortable experience. The Icon's pinpoint precision allow for the safe delivery of potent and effective doses of radiation. The Icon will allow the Odette Cancer Centre to continue replacing whole-brain radiation with targeted radiation procedures for as many as 500 patients annually, a 30-per-cent increase. When Duane Smith and his parents, Ed and Barbara were diagnosed with prostate and breast cancers, they turned to Sunnybrook to deliver the very best in advanced, personalized care, and help save their family.